Cashewnuts and Raisins – 10-20 nos. · Roast the moong dal in a vessel till it become light red. 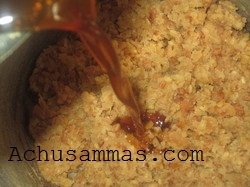 Add ¼ tsp ghee while roasting. Empty it on to a plate and let it cool completely. 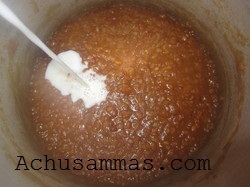 · Add the water and pressure cook it till soft.Once the cooker is opened, add the melted jaggery into the dal and keep stirring on low flame, till it becomes nice and thick. 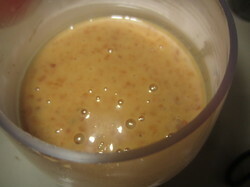 · Add the thin milk into the mixture. Keep stirring and bring it to boil. When the bubbles come, simmer the heat and add the thick milk and again bring it to boil on low flame. · Keep stirring continuously. Add the cardamom powder and dry ginger powder and mix well. thank you so much for posting this recipe ! it has made my birthday a big hit !! 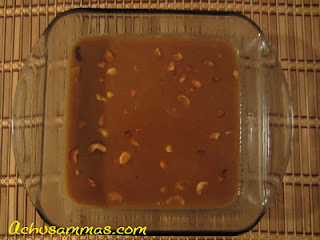 Tip: I've found that the payasam just keeps getting better as the days go by.. so, I made my payasam 2 days before the actual event, keeping this in mind... Plus, it saves on the running around on "my day" !! 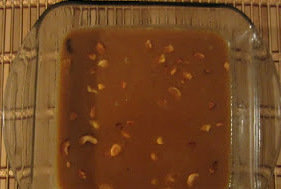 I am Reena Vimesh.I am sharing the recipes which i have tried and been successful in it.